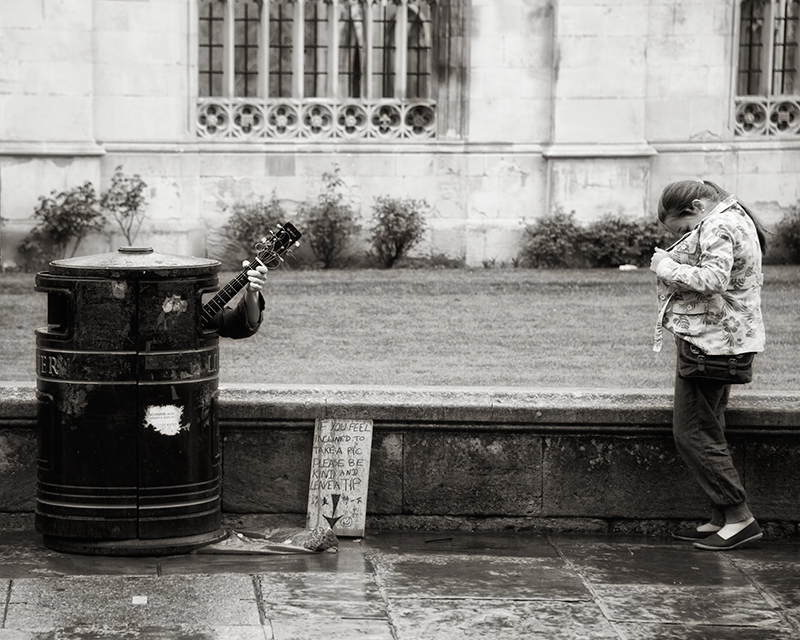 A Busker in a Bin, what could be sweeter. 7 but it makes me sad. What an original way to request a tip :) And it seems to work since the lady's digging for one (or is she hiding for the photographer?). At first the horizontal line seems of, but when looking at the base of the church in the back, you see clearly it is not of at all. Nice b&w conversion as well. Overall a entry that gets a 9 from out here. Now that is definitely different. Weird in a good way. Well done. Proudly hosted by Sargasso Networks. Current Server Time: 04/20/2019 10:33:59 PM EDT.